Each time you use or cause access to this web site or engage in a consultation by telephone or fax or mail or E-Mail, you agree to waive absolutely and unconditionally any and all liability and claims of any kind whatsoever against us, our office, the site owner and editor and all agents and representatives for damages or potential damages of any kind in any connection with our service, product, consultation, information, advice or representations. You further agree to fully indemnify us, our office and the site owner and editor for any damages or potential damages. This waiver and indemnification is soley based on and by virtue of your communication with us and your use of our service in any way, including telephone, fax, mail, and E-Mail. This web site, services and information and any consultation by telephone, fax or E-Mail provided to you on and through this web site or by telephone or fax or mail or E-Mail are provided on an “AS IS” basis. You agree that we and the site editor exclusively reserve the right to modify or discontinue provision of this web site and its services, and to delete the data you provide, either temporarily or permanently; the site and may, at any time and without notice and any liability by us to you. We and the site editor shall have no responsibility or liability for the timeliness, deletion, failure to store, inaccuracy, or improper delivery of any data or information. You agree that all information or data of any kind, whether text, software, code, music or sound, photographs or graphics, video or other materials (“content”), made available publicly or privately, shall be under the sole responsibility of the person providing the content or the person whose user account is used. You agree that this web site may expose you to content that you may consider to be objectionable or offensive, though we never intend to do so intentionally. We and the site editor shall not be responsible to you in any way for the content that appears on this web site, nor for any error or omission. (c) you acknowledge and agree that we and the site editor shall have the right (but not obligation), at the site editor’s entire discretion, to refuse to publish, or to remove, or to block access to any public or shared content you provide, at any time and for any reason, with or without notice. Goods and services of third parties may be advertised and/or made available on or through this web site or otherwise by us. Representations made regarding products and services provided by third parties are soley governed by the policies and representations made by these third parties. We and the site editor shall not in any way be liable for or responsible in any manner for any of your dealings or interaction with third parties, or for any third party services, information and representations. YOU UNDERSTAND AND AGREE THAT YOUR USE OF THIS WEB SITE AND CONSULTATION AND ANY SERVICES OR CONTENT PROVIDED (THE “SERVICE”) IS MADE AVAILABLE AND PROVIDED TO YOU AT YOUR OWN RISK. IT IS PROVIDED TO YOU “AS IS” AND WE AND THE SITE EDITOR EXPRESSLY DISCLAIMS ALL WARRANTIES OF ANY KIND, EITHER IMPLIED OR EXPRESS, INCLUDING BUT NOT LIMITED TO THE WARRANTIES OF MERCHANTABILITY, FITNESS FOR A PARTICULAR PURPOSE, AND NON-INFRINGEMENT. 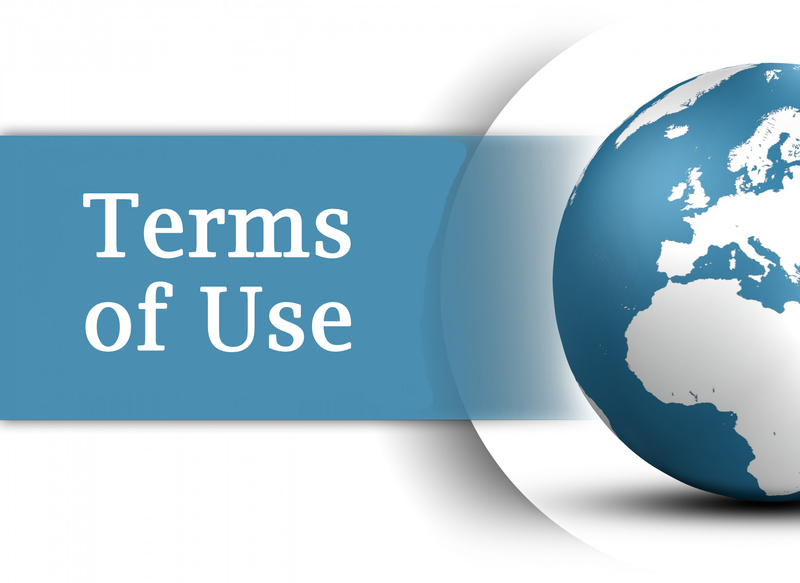 Some jurisdictions may not allow disclaimers of implied warranties, and certain statements in the above disclaimer may not apply to you as regards implied warranties; however, you agree and we state that all other terms and conditions remain valid and enforceable notwithstanding. YOU EXPRESSLY UNDERSTAND AND AGREE THAT WE AND THE SITE EDITOR SHALL NOT BE LIABLE FOR ANY DIRECT, INDIRECT, SPECIAL, INCIDENTAL, CONSEQUENTIAL OR EXEMPLARY DAMAGES; THIS INCLUDES, BUT IS NOT LIMITED TO, DAMAGES FOR LOSS OF PROFITS, GOODWILL, USE, DATA OR OTHER INTANGIBLE LOSS (EVEN IF WE AND THE SITE EDITOR HAVE BEEN ADVISED OF THE POSSIBILITY OF SUCH DAMAGES), RESULTING FROM OR ARISING OUT OF (I) THE USE OF OR THE INABILITY TO USE THE SERVICE, (II) THE COST OF OBTAINING SUBSTITUTE GOODS AND/OR SERVICES RESULTING FROM ANY TRANSACTION ENTERED INTO ON THROUGH THE SERVICE, (III) UNAUTHORIZED ACCESS TO OR ALTERATION OF YOUR DATA TRANSMISSIONS, (IV) STATEMENTS BY ANY THIRD PARTY OR CONDUCT OF ANY THIRD PARTY USING THE SERVICE, OR (V) ANY OTHER MATTER RELATING TO THE SERVICE. We and the site editor reserves all of our and the site editor’s rights, including but not limited to any and all copyrights, trademarks, patents, trade secrets, and any other proprietary right that we and the site editor may have for this web site, its content, and the goods and services that may be provided. The use of our and the site editor’s rights and property requires our and the site editor’s prior written consent. By making services available to you, we and the site editor are not providing you with any implied or express licenses or rights, and you will have no rights. to make any commercial uses of this web site or service without our and the site editor’s prior written consent.